As a result, CIRC's new rule may prevent the investment bank from getting into the market, analysts said. 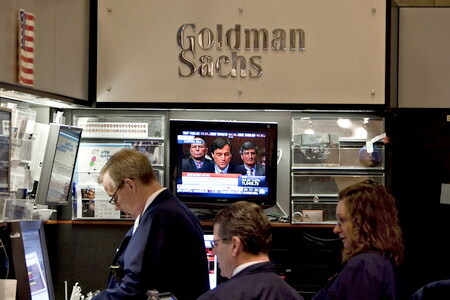 Goldman Sachs' soul search-sincere or strategy? Industry sources said last week that the investment arm of Goldman Sachs is in the final stages of an agreement to buy AXA's $1.05 billion stake in Taikang Life, a deal that could give Goldman a substantial stake in China's fourth largest life insurer. Wang Xiaogang, senior analyst with Shanghai-based Orient Securities, said the rule aims to strengthen risk management of foreign investors, especially after the financial crisis. "Since there are no more detailed explanations about rating standards ... the regulator still has flexibility in implementation," Wang said. But a top manager at a foreign insurer said he finds these rules a bit tougher than expected. According to the rule, the CIRC also allows a qualified single investor to hold more than a 20 percent stake in an insurance company. The regulator said that this is intended to reduce infighting between stockholders by cutting the number of investors. Qualified investor's net assets should not be less than 200 million yuan and the investor should be profitable for three years in a row.